I’d been to San Juan Capistrano a million times (it is the perfect place to make a stop when driving from LA to San Diego), but I’d never been to Los Rios Street! And just to answer the question that I know you’re all thinking, “Why yes, I DO live under a rock. Thank you very much”. But seriously, I guess I HAD been living under a rock to not know about the adorable Los Rios Street which is located just off the freeway. So I’d like to thank Britney and Aaron for showing me the lovely old town San Juan Capistrano! The cute little shops, the natural vegetation and the variety of scenery available were perfect for an engagement shoot. I loved it! 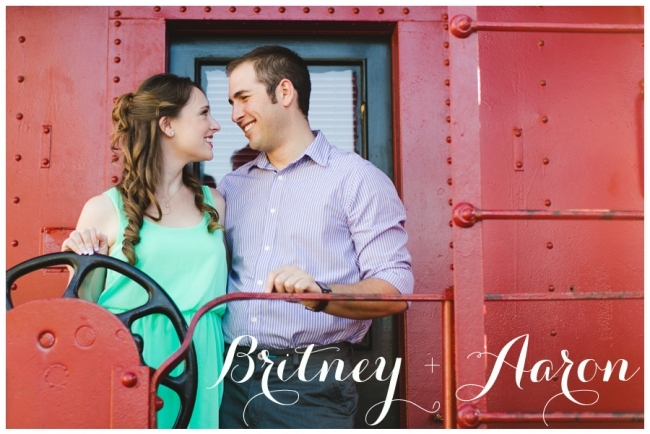 Now, enough about the location, let’s talk about the wonderful Britney and Aaron…..
Britney and Aaron are just so perfect together. They also have the coolest hobbies. Aaron is an avid sailor and Britney is a competitive ice skater! See? They really are cool. So if you are doing anything by water (frozen or unfrozen) – Britney and Aaron are the people to talk to. 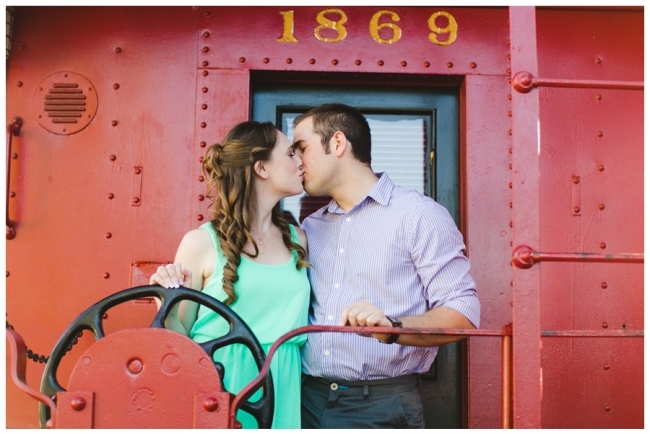 The happiness they have together really shows in their engagement pictures, so I think you’ll see for yourself just how perfect they are for each other. Ok, these two are adorable! My favorite images always have genuine emotions behind them. Whether it is how she smiles when he hugs her tight or if it is the expression on their faces when they are being silly together. I think that is why I love the following images so much. Aaron really knows how to make her smile! Thank you so much for spending the afternoon with me and I can’t wait for your wedding!